♥ I Love Lucy DigiArt Designs ♥: Spring Solace Scrapkit and FREEBIE! Spring Solace Scrapkit and FREEBIE! Check out this beautiful spring kit! It is tagger size and for personal use only. It is available to purchase HERE or HERE :) It has 12 papers and 40 elements. Not all is shown in the preview. There are 3 word arts and 5 frames, as well as 7 flowers, 8 bows and ribbons, and everything else you love to see in the springtime! And below is a FREEBIE add on to the Spring Solace kit :) It has 3 papers and 10 elements! It is for personal use only... please do not share, just direct others here to this blog post to download. Thank you so much for this post. 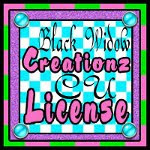 I want to let you know that I posted a link to your blog in CBH Digital Scrapbooking Freebies (please, notice the new url for my blog), under the Page 1 post on Apr. 30, 2012. Thanks again.